so, who's gonna celebrate this year's halloween? or who has celebrated it? what's the exact date of halloween anyway? i've got no idea. i thought about being a nurse, but duh, so lame yeah? 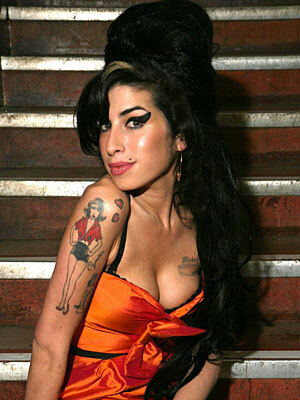 AMY WINEHOUSE! i heart her hair-do! and of course... her tattoo! i can be anything i want! but, it's a bit too ambiguous, eh? well, what do ya all think? nice photos tob :) looking forward for your pictures at the party! Aku belum pernah haloween party apalagi pake costum.